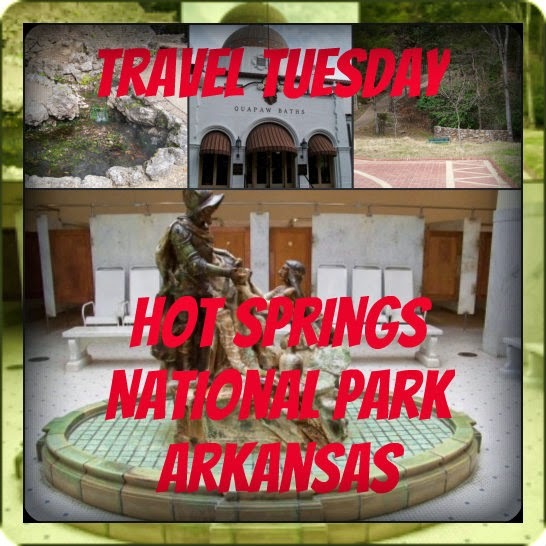 Hot Springs National Park, Arkansas. This National Park has been nicknamed America's Spa. It's a different type of national park. 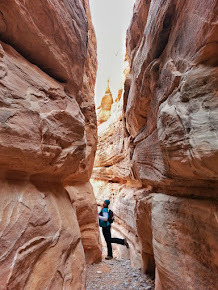 Sure you can still get your hiking in with beautiful scenery. But you can also visit and learn a little bit about American history. 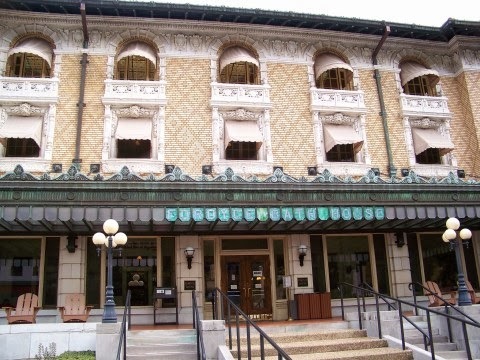 The Fordyce Bathhouse, this is where I started my visit to the park. I took an National Park information map, and took myself on the self guided tour. There is beauty all over this unique place. 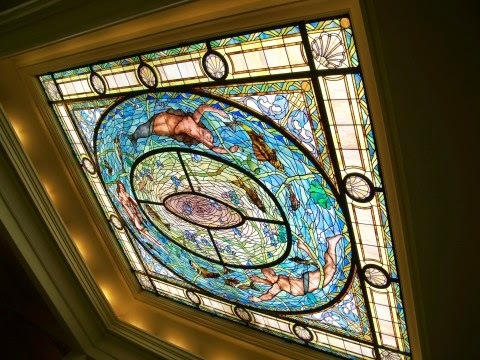 From the stain glass ceiling, to the interesting statues and marble bathhouses and floors. 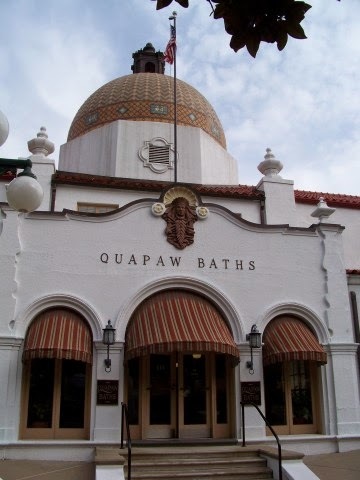 The bathhouse was open from 1912-1962. It became the parks visitor center in 1989. Natural thermal pools, heated from inside the earth is the water that powers and flows through the bathhouse. Above is what the gymnasium looks like. 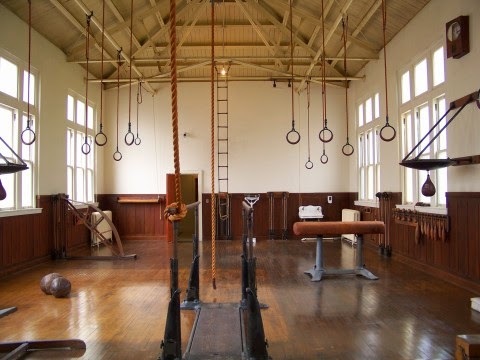 Looks a little different than your modern day gyms, but at the same time, looks like it would be even more fun to workout in. 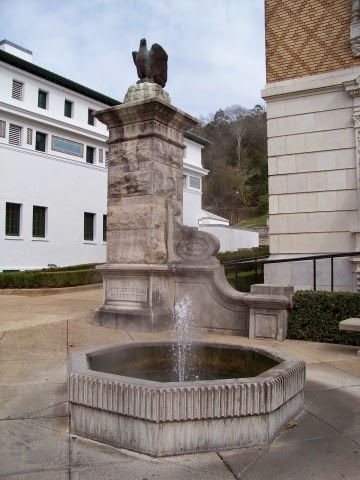 It may seem kind of funny to tour a bathhouse, and view the marble baths, and even the original stalls. But if you think about the time period this was created, and realize this was how early Americans took to a spa day, the history side of you will love the curiosity of it. There is a lot more to see inside the bathhouse, but I'll leave some of it to mystery so you can discover it yourself. Outside, they have fountains and other water fixtures. 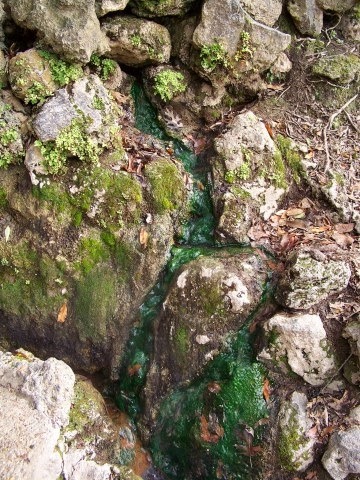 They all use the Natural thermal earth heated water that comes up out of the springs in the area. So yes, if you sit next to this fountain, it is hot, very hot. 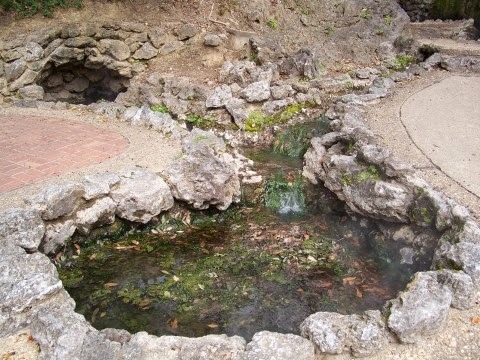 Take a walk out on the trails in the area and see the natural pools and springs for yourself. 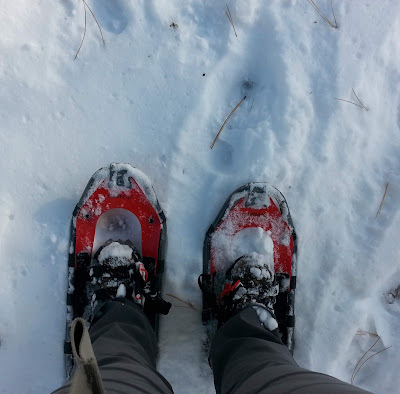 The park itself has 26 miles of trails. Some of the trails are even paved walking trails. 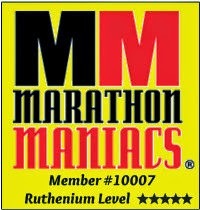 You can use your pamphlet you picked up at the information center to walk around and learn about the different things. Although I visited in March just before the spring bloom. 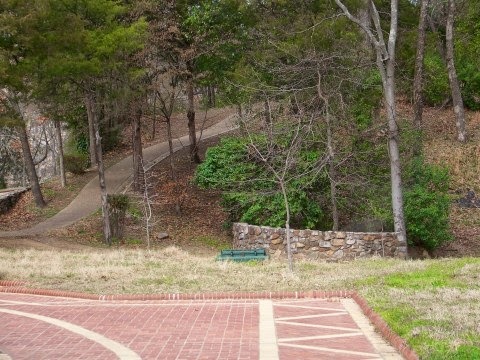 Other times during the year, these are lush Arkansas forests that surround the town and in and park. There are actually 8 historic bathhouses in the are for you to take a walk around town to see. You can also take a stroll on the Grand Promenade in the National Historic Landmark District. There are also 3 scenic drives you can take. Hot Springs Drive, North Mountain Drive and West Mountain Drive. You can also picnic in the mountains or even camp up in the Gulpha Gorge Campground. Additionally, if you want to experience history yourself and take a mineral bath in the natural thermal pools, you can at Buckstaff baths. I mentioned the scenic drives you can take. They also take you up in the mountains that look out over the town and surrounding valley. 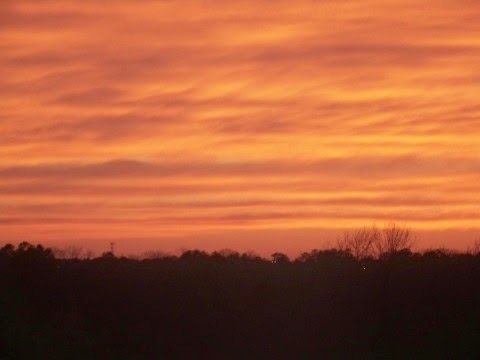 Take a day and be a tourist, eat at the local eateries, do a little shopping, then watch the sunset above town. * This is a FREE National Park, you will not be charged to enter any of the areas. * Campgrounds start at $10 a night - you can even have hookups for $24 a night. * There are local hotels in the area. 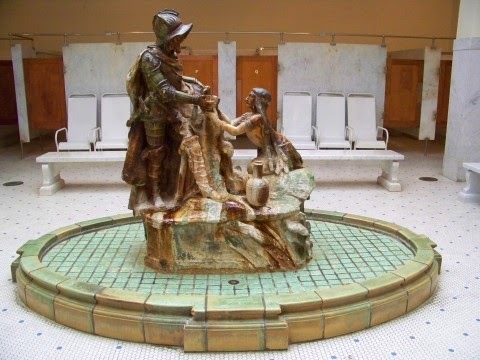 * If you decide to take a spa day at the Buckstaff bathhouse this does charge, and you must be age 11 or older to use this facility. * You can do a lot of things for free here. * The park itself doesn't have parking, but since this park is within the small town, there is plenty of public parking, but they do charge. * Most springs are safe to drink. They allow you to fill your water bottles with the spring water if you'd like to take some home. They'll even tell you the best places to go if you want to go take a drink. * It's just a short drive from Little Rock, Arkansas and can easily be a day trip if you are staying in that area.